A man’s drive to understand life with an optimistic approach. 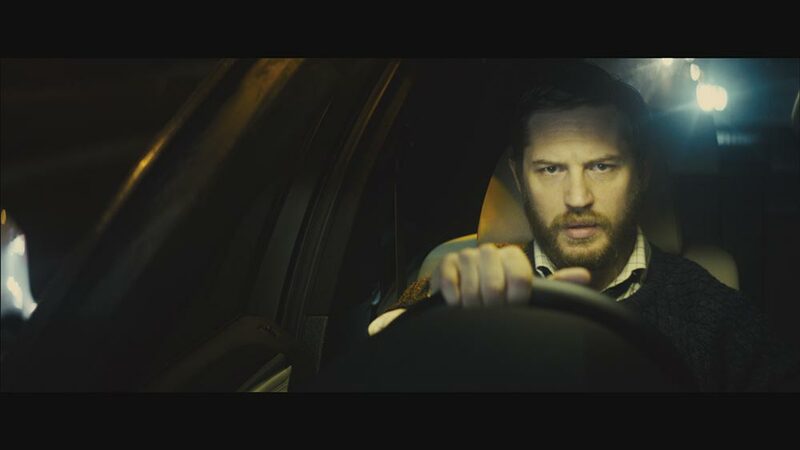 On a cold London night, Locke (Tom Hardy), a construction site manager working on a huge skyscraper, gets into his black sedan and begins a journey. The film is kind of a road movie, entirely set in a black BMW. It develops through the character’s phone conversations with the people in his life, who ultimately never appear on screen. 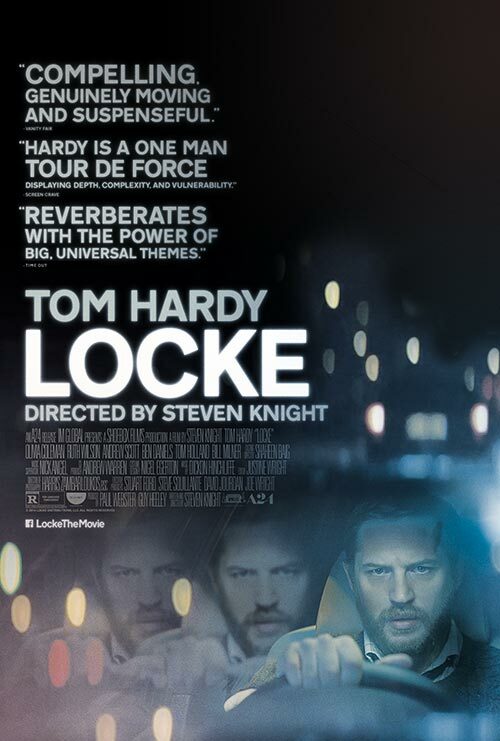 Locke is an impeccable worker and family man. Once he gets in the car he decides to drive to the Memorial Hospital to attend his third son’s birth: an unexpected consequence of a one-night stand with a stranger who informs him by phone at the beginning of the journey. His decision to go to the hospital is driven by his resentment for his father, who abandoned him. The choice he makes will change his ordinary life in just a few minutes. 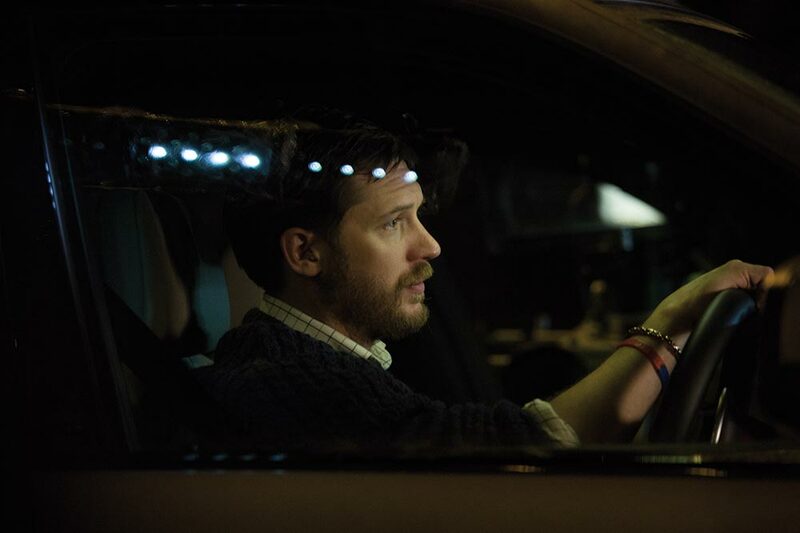 The movie develops through his drive to the hospital, during which Locke commits to put his working and emotional life in order, just as someone writing his final will and testament would do. 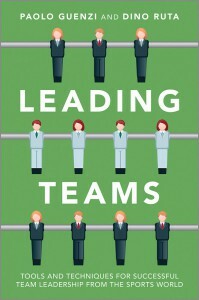 His work is key in the movie, which tries to document the character’s sense of responsibility for his task – managing a huge project – and his desire to guarantee the result at any cost, showing that the success of a process is not made by one but by a team. Locke, who has never been absent from work, controlled by his conscience, decides to take a day off at the wrong moment; despite this, he succeeds in doing a good job and supporting his team, solving problems by phone. 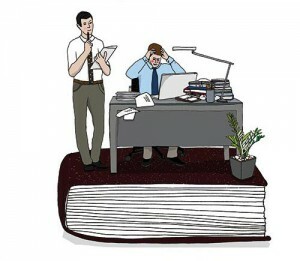 Obviously, the fact that the protagonist is a conscientious foreman does not help him to keep his job in a world where strict business rules supersede values and the request for a day off without an adequate reason. 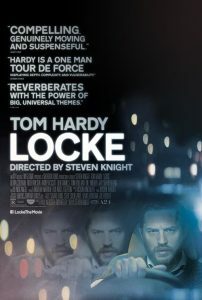 But Locke is only interested in the project’s success, for himself and his team, showing a loving approach to his work. However, his wife, informed of his betrayal and decision to recognize the “son of sin,” shows no understanding and collapses in despair; but while her position seems emotionally justified, the corporate executive’s decision to lay Locke off shows how business is emotionless. This is a very good movie based entirely on the skills of the actor, the dialogue and the issues that slowly pile up; a talented man’s life crumbles on London’s highways, but he does not fall into despair and instead makes a new start, with hope for a new job and an extended family. Characters Tom Hardy (as Ivan Locke), Ruth Wilson (as Katrina), Olivia Colman (as Bethan), Andrew Scott (as Donal), Tom Holland (as Eddie) and Bill Milner (as Sean). Created and Directed by Steven Knight. Produced by Paul Webster and Guy Heeley. 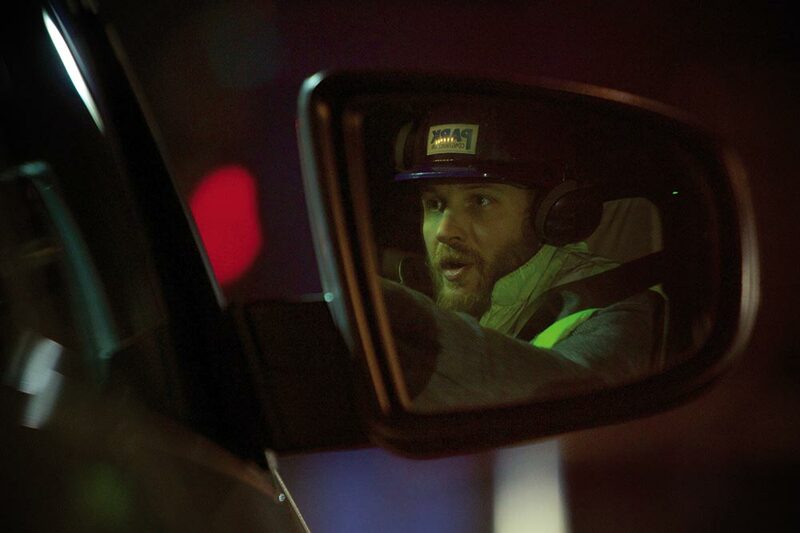 Photos are courtesy of A 24 Films.